Domestic breeding is like a dream come true. In our family homes there have always been dogs, and after our wedding we were sure that we would build a house full of dogs. We were watching dog`s websites and the dog kennel`s websites. 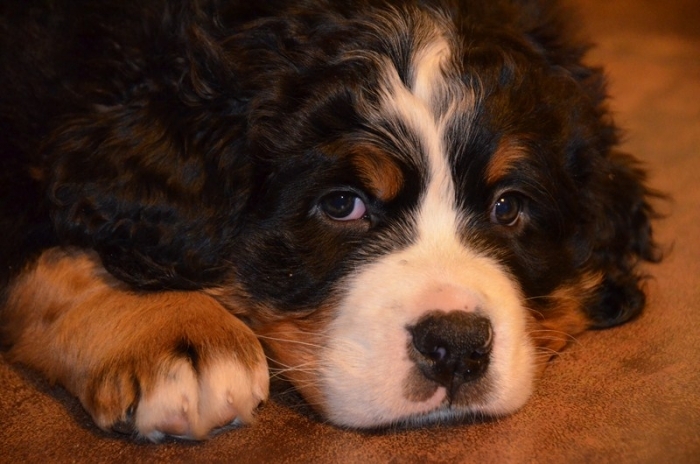 But when we saw two Bernese - running around at our friends - it was love at first sight! Eye-catching, powerful, yet gentle molossian. Not long thinking, registered on the www.szwajcary.com, and there Kasia suggested to me that there are puppies in kennel Majowy Skarbiec. 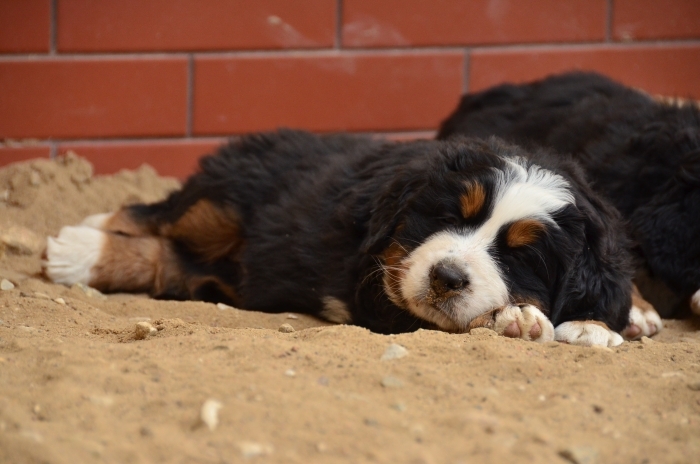 Gosia - breeder helped us make a choice of females. And so, Beastie Bianka Majowy Skarbiec has been with us from 23th March 2009. She launched a joint trips to the national and international exhibitions and she was our first breeding dog in our life. On 28th of January 2011, we received a kennel name called Spełniony Sen (No reg 6169/S). After one year for Bianca`s companionship we brought fanother dog from Ewa and Zbyszek, Gina Stróż Zagrody. Dogs live with us at home and are treated as members of our family. They are with us in everyday life and social activities. They go with us everywhere. Thanks to them, we got to know many wonderful people. 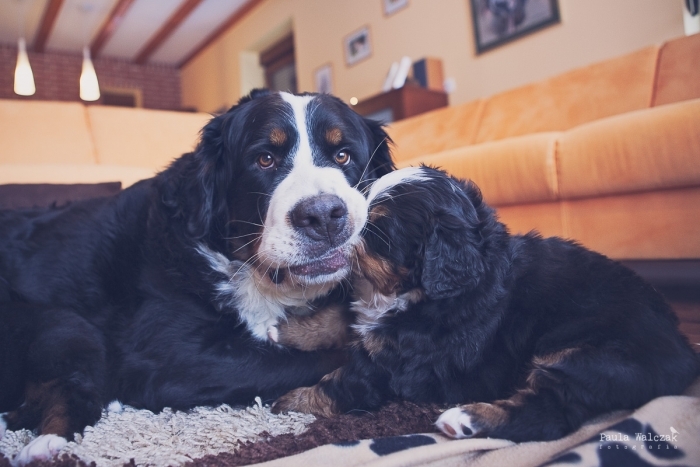 And one thing we know for sure - Bernese will always with us and in our hearts. MOM : our FULL OF TREASURE Spełniony Sen aka Figa. Dad: MILBU BOLD AS BEAR aka Timothy. We have 3 females and 2 males. Litter A : 2 female nad 1 male. Join to our friends on FB!